Groundnut Soup (Peanut Soup) is next best soup after Egusi Soup. 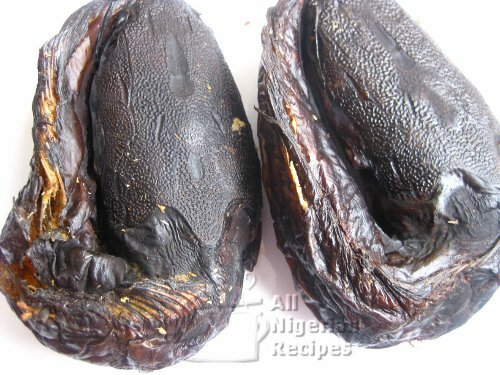 It is prepared the same way as Egusi Soup so you can apply the two methods of preparing Egusi Soup to Groundnut Soup with great results. 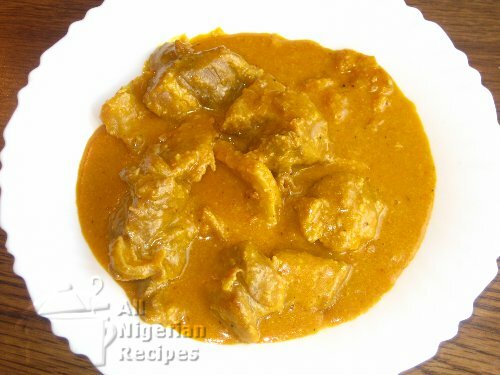 If you cannot find the ingredients to cook Egusi Soup where you live, Groundnut Soup is a great alternative. I must say that it has some sweetness to it that takes a bit of getting used to if you have not tasted the soup before. Palm oil mainly adds colour and sometimes taste to Nigerian soups so add enough quantity to colour the soup to your liking. Bitter leaves help tone down the sweetness of this soup so if you do NOT have a sweet tooth, then you should use bitterleaves in preparing this soup. 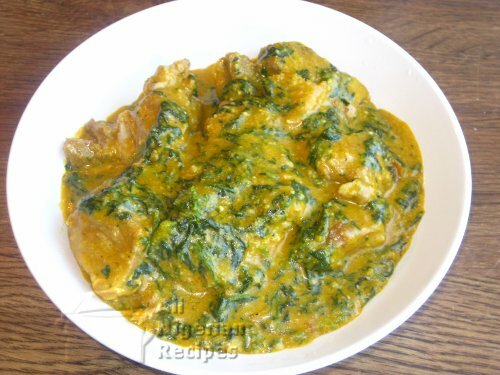 Let's put it this way: if you prefer bitter leaves for your Egusi Soup, then you should use them for Groundnut Soup too. 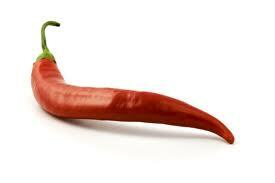 You can also use fresh habanero peppers in place of dry cayenne peppers. 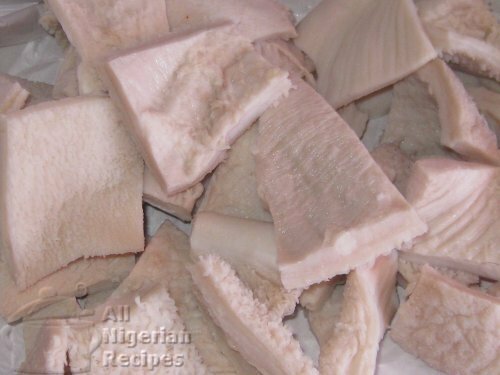 Soak the stockfish and dry fish for a few hours. The length of time depends on how hard the stock fish is. Some even need to be boiled a bit. Mine soaks in under 1 hour. When soft, clean the fish, remove the bones and separate them into small pieces. 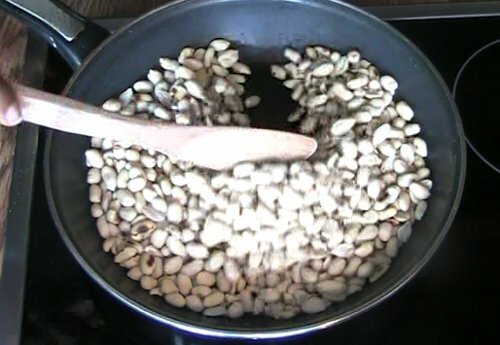 Roast the raw groundnuts in a pan, stirring constantly till they look like this. Set aside to cool down completely then grind into powder with a dry mill. Wash and cut the Nigerian pumpkin leaves into tiny pieces. 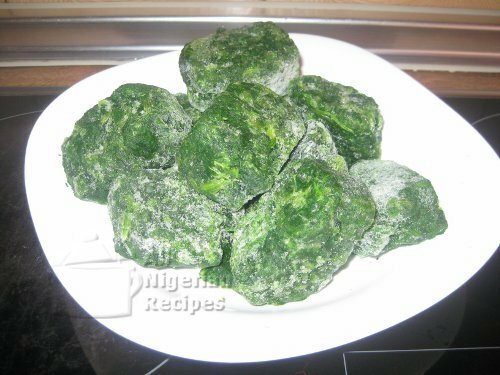 If using frozen spinach, cut into small pieces and wring out the excess water when fully defrosted. Prepare other ingredients: grind the pepper and grind the crayfish. Start cooking the shaki first as it is the toughest meat in the bunch. Always keep water to the same level as the contents of the pot and top it up as you cook. When the shaki is almost done, add beef and stock cubes and cook till all the meat and fish are well done. Add the crayfish, salt and pepper, cover and cook till it boils. Transfer the meat and fish to another pot/container leaving the stock in the pot. 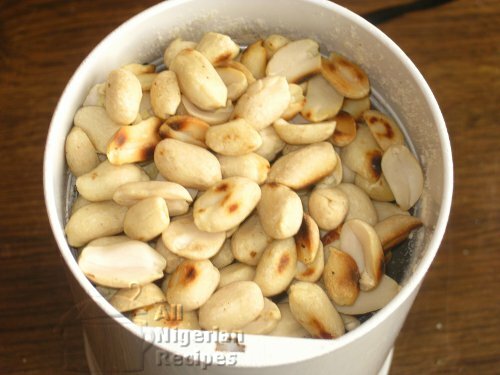 Add the ground groundnuts and stir very well till there are no lumps. Reduce the heat to very low and start cooking. Stir every 5 minutes and top up the water if necessary. This mixture burns easily so watch it closely and stir as often as necessay. Cook till a thin film of clear oil appears on the surface. This should take about 15 minutes. Add palm oil and stir very well. Add the beef and fish, stir and cook on low heat till it boils. For those who prefer their groundnut soup without vegetables, the soup is ready at this time. If you prefer it with vegetables then go to step 10. Add the vegetables, stir and leave to simmer. Stir again and it is done. Serve Groundnut Soup with any Nigerian Fufu meal.